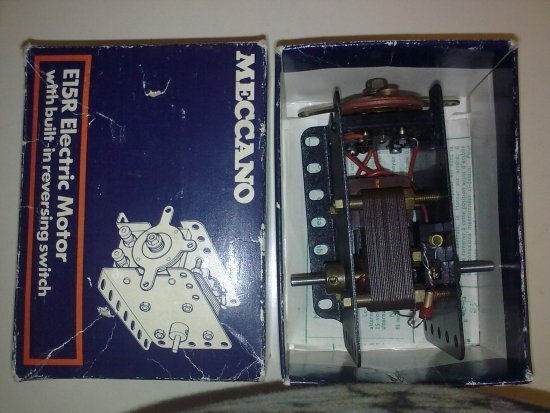 I always wanted a Meccano electric motor. The cricket ball motor was available in the 50’s in India but at a cost which was beyond my modest means. So recently, when I found an E15R available on eBay, and I had just conquered my fear of using my credit card on eBay with PayPal to protect me, I decided to make a bid. In fact I went whole hog and bid for an E15R, a Crane Motor and a six speed Power Drive motor as well. I usually lose most bids on eBay because the ending is when I am fast asleep and I haven’t mastered all those bidding tricks, so I get outbid. But these were different. They were ending at 11 pm so I could take care of any snipers. But I needn’t have worried. The recession is not all that bad. There were no more bids, so I won all three. The E15R and Crane motor were from the same seller and I got them in a week’s time. The Crane motor worked well but the E15R refused to budge. I could feel the rotor lock so it was electrically live. A few drops of oil on the armature shaft got the motor going for about two seconds before it jerked to a sudden stop with a ‘oh oh’ kind of a clunking noise. 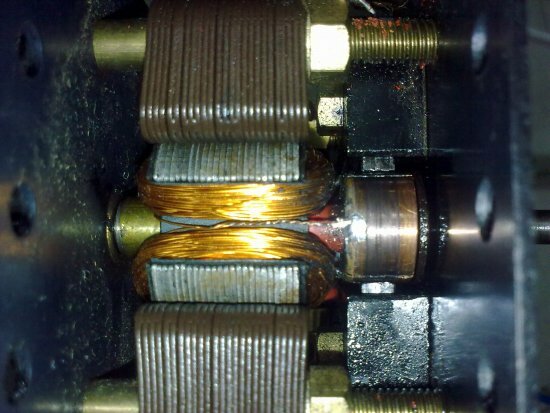 Close examination showed that one side of the armature winding had come off the commutator. It was rather poorly soldered to begin with and the long journey plus the spin up caused it to give way. Closer examination revealed a brush that bashfully retreated into its holder at the slightest opportunity. The commutator was covered with a black sticky layer of something. The brushes were ‘held’ by the lead of a capacitor pushed through the last turn of the brush holding spring. I couldn’t believe my eyes! Had I picked up a lemon? An appeal to Spanner was informative. Richard Payn was of the opinion that the spring was the culprit and the bad news was that springs were impossible to find. Geoff Brown suggested a way to open up the motor and tips on cleaning the brushes. So armed with this information I decided to try and fix the motor. Removing the four nuts holding the side plate opposite to the side holding the brushes released the side plate and the armature came out easily. 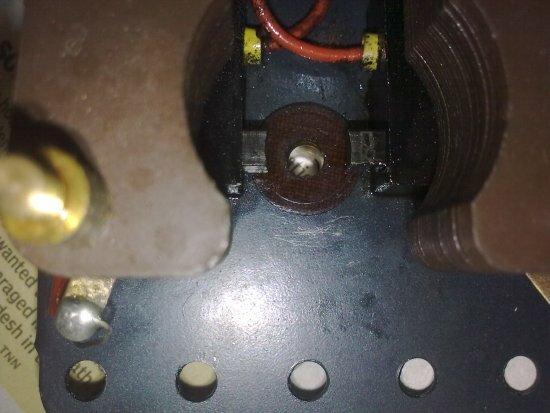 I sprayed the commutator with tape recorder head cleaning fluid and used a cotton bud to remove the sticky black layer. It took several sprays and buds before the copper shone through. Next I heated and removed the solder blob from the armature lead that had worked loose. I applied a thin layer of solder on the commutator edge and then soldered back the armature lead. A light application of a needle file was needed to remove the excess solder to ensure that it didn’t foul with the stator. Figure 3: Close up of the brushes after being teased out of the holders. Note the sticky stuff. I turned my attention to the brushes. I teased out each brush using a jeweller’s screwdriver and a pair of tweezers. The reason for the ‘bashfullness’ of the brushes became clear. The brushes were coated with the same sticky stuff I found on the commutator. More application of the cleaning fluid removed the sticky stuff and after a few repetitions of this treatment I could make them slide in and out of the holder freely. I sprayed on a coat of ‘Zorrik 88’ recommended for cleaning and lubricating distributor points and spark plugs. The rest of the motor was quite clean and did not require any drastic treatment. After the spray dried out, the armature was put back and the brushes teased back using the jeweller’s screw driver to seat them on the commutator. The side plate was replaced and the test run was a success. The commutator still kept getting coated but application of the cleaning fluid on the tip of a cotton bud two three times cleared up the residual contamination. I measured the current drawn from the DC source. No load drain was about 0.6A. Stalling the rotor pushed the drain to 0.8A. I think this is quite normal. So, I now have a motor which I had long desired to own. As I was testing the motor my daughter walked in and asked “what is this smell?” It’s my motor; it’s working and what she was smelling was the ozone! I have added a few pictures of the steps in the hope that it may help another Meccano-person who may face the same problems. 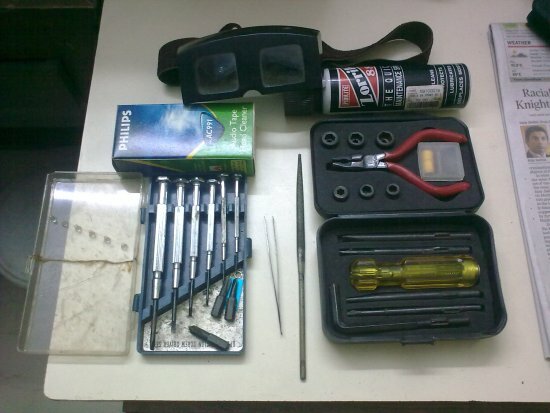 This is a small pay-back for the invaluable help I got from Spanner. 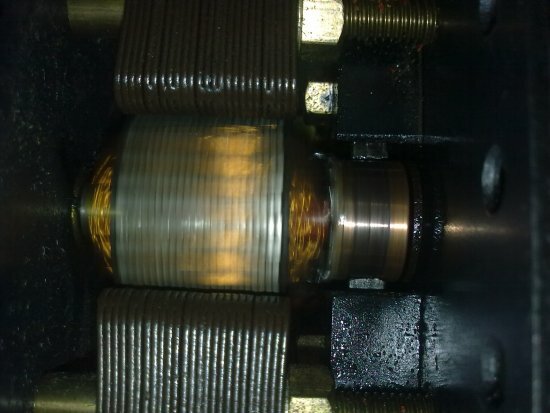 Figure 5: The spinning motor! Can you see the spark between the brush and commutator? I just got 2x what I think are E15 motors, from eBay for £6.50, they where in bits, and also had black gunky stuff inside, a good wash in alcahol? did the trick. But i got one together and it runs, but quite noisey!! and I found someone who sells suitable brushes... the other is a bad state and will need lots of TLC I too have pictures if you need to see them. I'm in the UK! The E15R motor runs from a 15v AC or 12-15v DC power source. At the time these motors were introduced, various brands of model train transformers were easily obtainable, with many offering an adjustable 0-12v DC output for the locomotives, plus a 15v AC outlet for lighting and other accessories. Examples of these were the Hornby Marshall II and III. If a transformer could not be used, the E15R could provide adequate power from a 12v car battery. As the E15R is a 'universal' motor, it doesn't matter which way round you connect the wires from the transformer or 12v car battery to the motor - you won't damage anything. 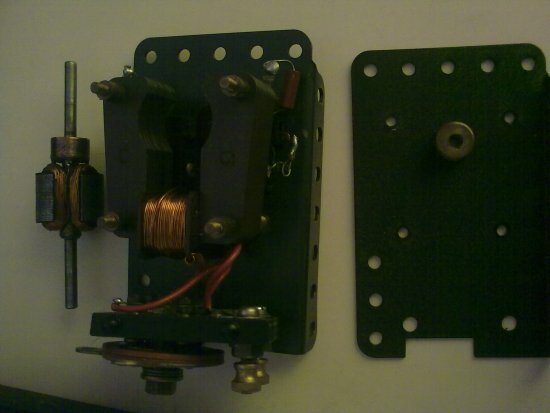 I have an old bi polar motor from a 1940's erector set. this was, and looks like: still!, the dream engine for every meccano boy/man...so when i was in my teens (and in the early 60's) and finally succeeded convincing my parents that the magic wind up motor really no longer sufficed my meccano ambitions, there it was that X-mas eve! Alas..in my excitement, I reversed the transformer wires and the ensuing millisecond roar, flash and still, fifty (!) years later in my nose lingering smell of burned wires...led to a temporary halt in fulfilling those plans. Thanks to my dear mother- God bless her soul!- the whole damned thing got rewired (can you imagine doing that now?..) by a guy who must have scratched his head: "why am i doing this? "...and yet assured many years of delightful bliss for a boy powering his meccano constructions by this amazing motor. ENJOY! Try eBay. These do come up from time to time.